Για να φορτίσουν οι μπαταρίες του μέσω ηλίου, αρκεί 1,5 ώρα στάση (για καφέ ίσως;) και είστε έτοιμοι να συνεχίσετε το ταξίδι σας. Οι σχεδιαστές τους ετοιμάζουν μπαταρίες που θα φορτίζουν πλήρως σε μόλις 6 λεπτά, όσο κάνουμε και σε ένα βενζινάδικο ενώ θέλουν να καταφέρουν να φορτίζει και μέσω κανονικής πρίζας! Το Formula AE φυσικά μέχρι στιγμής βρίσκεται μόνο στα PC των κατασκευαστών αλλά αναμένουν να κατασκευάσουν ένα πρωτότυπο μέχρι τον Αύγουστο. Student venture RORMaxx Automotive utilizes ultracapacitors, solar panels, and airflow recovery to construct an alternative energy vehicle. RORMaxx Automotive, a student venture out of Harvard-Westlake High School, is constructing a wind and electric powered vehicle. Eighteen-year-old high school seniors Rory Handel and Maxx Bricklin are developing the first student-built wind-assisted vehicle called Formula AE. The ultracapacitors utilized in the vehicle will provide easily accessible power to the car at all times, avoiding the voltage drop problem in normal batteries. The ultracapacitors will address the high acceleration demands of a car, boosting the Formula AE car from zero to sixty miles per hour in less than 4 seconds. The vehicle will be limited by its gearing to a top speed around 155 miles per hour. Formula AE will implement solar technology in the form of newly developed flexible thin-film photovoltaic cells. Laminated with a flexible flouropolymer, the cells will be protected from any damage and will be flexible enough to fit the aerodynamic form of the vehicle. The battery of the car is projected to have a range greater than 200 miles per full charge, and should handle a full one-hour race without difficulty. The charge time of the battery is less than 1.5 hours, but a prototype battery currently in development could cut the charge time to just six minutes. Finally, the vehicle will recover wind flow energy using intakes channeling air to a turbine fan. By constructing ducting to achieve an optimal wind speed, an appropriate generator Awill convert the airflow into usable energy for the car. 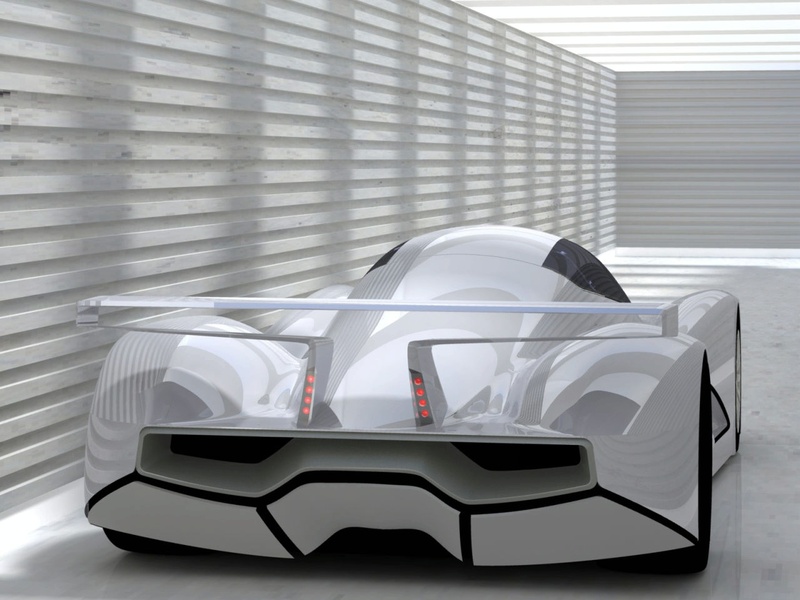 The Formula AE car is meant to be a technological showcase to inspire the automotive world to embrace these rarely thought of alternative sources of energy. Although there are currently no plans for commercial production, the car would likely have a projected retail between $80-150k (USD). 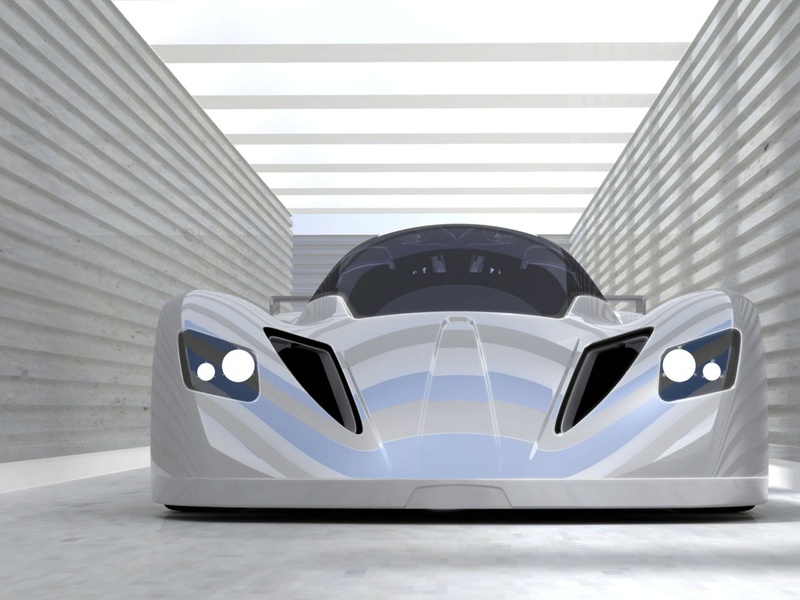 The Formula AE Prototype will be completed in August 2009.